A new ad in support of Question 3 stars a foul-mouthed “Masshole” with a lot to say about protecting transgender rights. And not everyone is pleased. 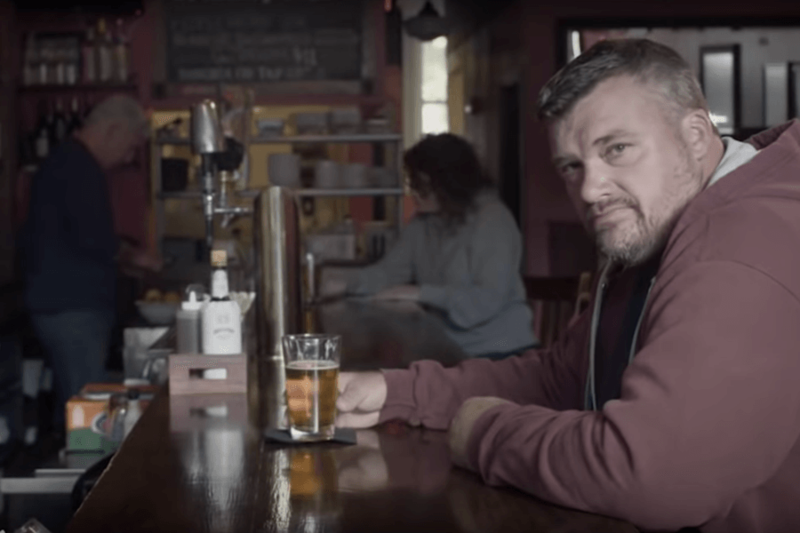 At the start of the video, which popped up on YouTube Thursday, a surly Bostonian in a red hoodie seated at a bar takes a gulp of beer, slams his pint down, and begins a speech about the city’s ethos of freedom. “Spoken like a true Masshole,” replies a bartender puttering in the background. And then he gets to the point. The clip, produced by ad agency MullenLowe and filmed at the Porter Café in West Roxbury, had more than 35,000 views by Friday afternoon. Although it has the look and feel of a political ad, no one paid for the video. The agency says members of its staff decided to make it on their own, pro bono. They do not plan to run it on TV. But Freedom Massachusetts, the group that fought for the state’s transgender protections law and is now leading the Yes on 3 campaign, is distancing itself from the ad. Officially sanctioned ads from the Yes on 3 campaign feature interviews with sexual assault experts, a former police chief, and the family of a transgender young man. The videos shy away from criticizing their opponents directly. On the other side, the group behind the effort to repeal the state’s transgender rights law has stooped to airing ads that prey on people’s fears, distort the issue at hand, and liken the trans community to sexual predators. They’re going low, and Freedom Massachusetts evidently wants to go high. This came about as one of our LGBTQ employees came forward asking how we could help support Yes votes for question 3. We did it in the way we do best – create content that inspires people to act. People need to vote to make this happen. We wanted to make sure we were supporting the efforts of the [Yes on 3] coalition because we know how important this is to our Commonwealth. Our diverse team included members of the LGBTQ community and allies in the production community. They helped us produce this in record time. I know some people question the use of our words. But I’m from here and I’m a proud Masshole. I’ve been raised in a state that protects all our liberties and I want those to exist for my kids.